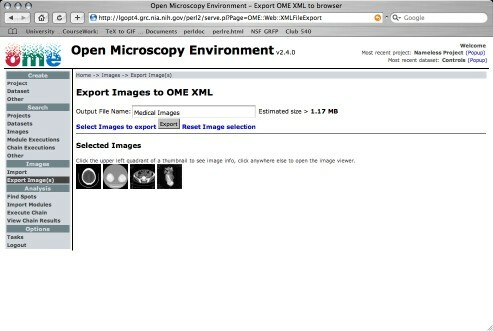 OME-XML files can represent everything stored in the OME database. This includes images, their annotations and meta-data, the results of analysis, a full trace of data dependency in the analysis, and a specification of the analysis modules that produced these results. Each piece of information in the file is identified with a globally unique identifier (LSID), that allows it to be traced to the specific OME-compliant system that generated it. 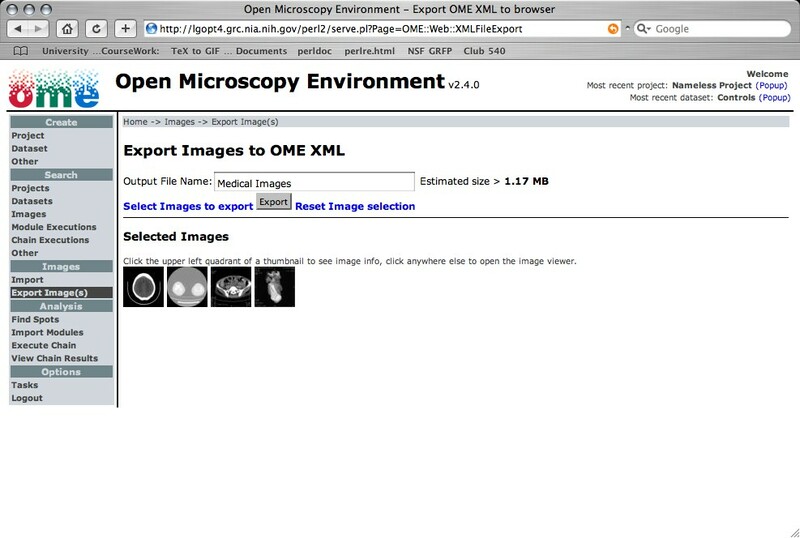 You can export your image data to share with colleagues or manipulate with OME-XML image format compatible software. This format is now supported by Applied Precision's softWoRx Explorer®, and the upcoming release of Bitplane's Imaris® software packages.